The Frontier amended plans are now on the website. The original application was for 175 students, but amended plans cite 167, see below. The latest planning applications have been uploaded here. They relate to properties in Gardiner Street, Staunton Road, Windmill Road and the JR.
Ruth has called in the application to build student housing and maisonettes on the junction of Latimer Road and London Road for adjudication by East Area Planning Committee. And just to show that repeated applications do get through eventually, the St Leonard’s Road one has been given delegated approval. Demolition of existing store. Erection of 1 x 2-bed dwelling (Use Class C3). Erection of a first floor side and rear extension. Oxford Brookes University has sent councillors the following update.  provide advice to local residents, including student residents regarding living in the community.  provide local residents an opportunity to talk about issues such as litter, car parking, anti-social behaviour and noise. The House Champion Scheme is a joint initiative with the two universities, council and police working to provide key communication to student properties and encourage them to nominate one student as a House Champion. We are targeting houses in East Oxford and Gipsy Lane Estate. The scheme has been positively received by students and we have over 200 nominated House Champions. This semester, now that we have a large number of House Champions in place, we have developed a programme of communication, which takes the form of a monthly bulletin. This bulletin is sent via email to all the House Champions with key messages from the council, police and universities. There is also the offer of a free gift each month. These messages and gifts will act as a reminder to the students of their role as House Champion and hopefully encourage them to participate in the scheme should it continue in future years. Since the beginning of this academic year, September 2014, we have received a total of 98 complaints which is lower than last year as we had received 131 complaints by the end of February 2014. St Clement’s Family Centre, Cross Street, Oxford OX4 1DA. 2.1. Our new building is now open and has been very well received by our staff and students. 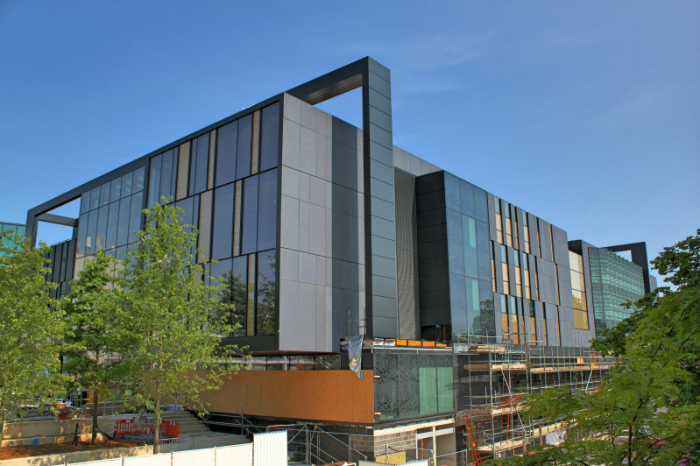 Here is our latest information about on-going work at the Brookes Campus off Headington Road/Gipsy Lane from the Brookes Space to Think Team. A key Christmas product for Sony using technology developed by Oxford Brookes’ Computer Vision Group hit the shops last week (16 November). Complex computing from Oxford Brookes helped to create a ‘magical’ new technology called Wonderbook which is now on sale complete with a Book of Spells game from the World of Harry Potter series. The all-new Wonderbook for the Sony PlayStation 3 uses a technology known as Augmented Reality (AR) and has been praised for its ‘technical wizardry’. Wonderbook’s AR uses objects in the player’s environment, captured through a camera, and mixes them with virtual objects presented in a game on screen. The contribution from Oxford Brookes was to enable the computer to distinguish the skin of the player’s hands from the background. All who came to yesterday’s Ward Focus Meeting were treated to a presentation by Emily Wright, the accommodation manager at Dorset House. She told us all about how the students were settling in and how Dorset House is managed. No student tenant is allowed to bring a car unless they are disabled. If a tenant brings a car to the site, they are in breach of contract and the matter will be dealt with accordingly. All 313 students have moved in now, there are 254 in en suite accommodation and 54 in studio rooms. 31% are Year 1 students, the rest are in Years 3,4 or are postgraduate students. A travel survey will be completed shortly. There have been very few complaints as yet, but we did agree to post the contact numbers up on our website in case any resident needs to make a call. Service 24 will deal with emergency out of hours complaints on 01162 548730. They will pass on relevant information to the duty wardens who will take immediate action.